Young energetic student of JIMS, Ms Monisha (BBA 3 rd Year), was selected as a “Goonj Rider” to promote ‘181’ helpline and women empowerment campaign organized and sponsored by Government of Uttar Pradesh. 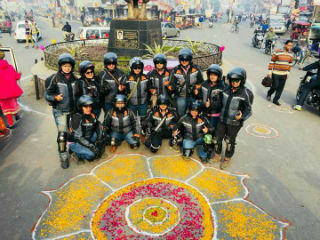 Monisha was selected amongst 10 riders from all over India for this 10 day campaign. 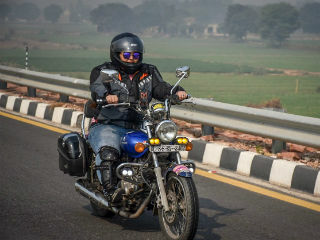 This biker team travelled more than 1000 Km and visited various districts of UP and was well received by administration, police departments, NGOs and local residents. 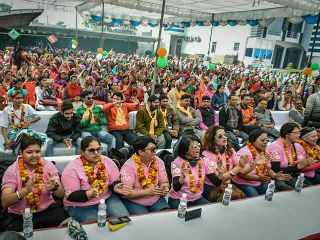 Event was widely covered in national and local print media. JIMS congratulates Monisha on her achievement and active participation in such encouraging events.